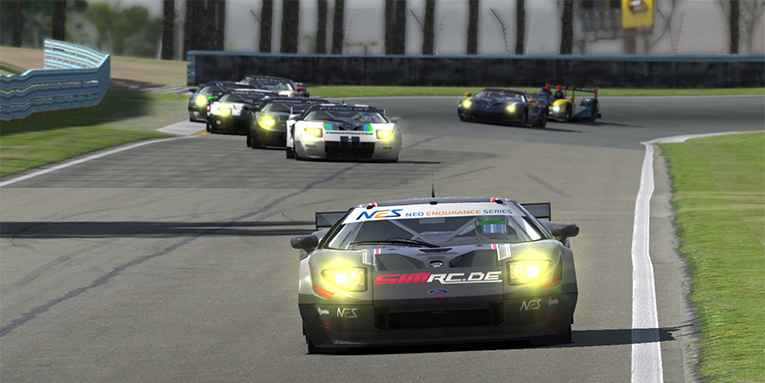 On December 20th the 6 Hours of Watkins Glen took place as the third round of NEO Endurance Series. The race weather was a record high of 33 degrees Celcius ambient and 53 degrees Celcius on track, so cars would naturally struggle to find grip on the 5,43 km track. Watkins Glen is a narrow and fast track, where cars often are facing walls outside of the track with no run off areas. With the NEO Endurance Series being a multi class endurance event, a high intensity race was expected where the winners would be those teams who stayed out of trouble. The prototype class battles for the lead involved a 6 hour long battle between mainly Foracer Coanda Simsport and Radicals Online. In their HPD’s they fought traffic, each other and the heat. In the end Radicals Online finally proved them being a top team by winning the race in front of Foracer Coanda Simsport by 19 seconds. Mid race spectators saw these two teams swapping places from time to time, because of excellent traffic management by both teams. Two laps down Geko Vortex SimRacing HPD took third place in front of Gathering of Tweakers 1, vApex Engineering and Fenix Motorsports HPD. The championship standings reflect the Watkins Glen race outcome, as we see Coanda Simsport in front of Radicals by 23 points. Friction Racingwho did not finish in this 6 hour race jump down to fourth in the standings. Team Chimera, winners at COTA, had damage as well but managed to gather some points, which results them in fifth position in the championship. 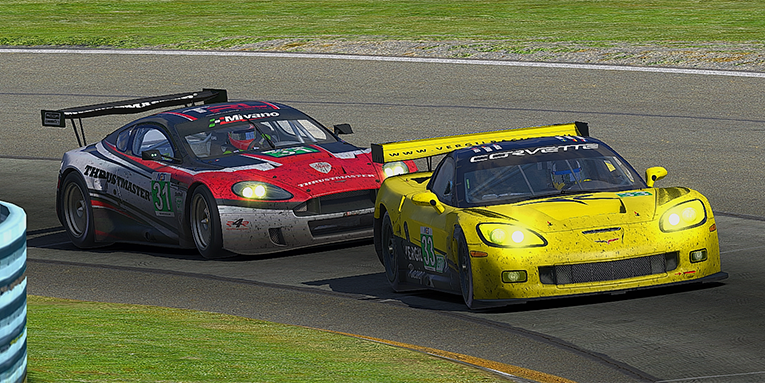 After two fatal rounds, last season GTC Champions, VergilRacing finally brought their Corvette home without any serious incidents to claim second position. But the stars of the race in the GT1 class was Radicals Online GT1 who converted an exemplary effort into a win at Watkins Glen. The team overtakes the number one position in the championship after Thrustmaster Mivano Racing unfortunately ended their winning streak with an incident with an HPD. Falcon-GP came home in third which is a success for the team after a disappointing COTA race last month. 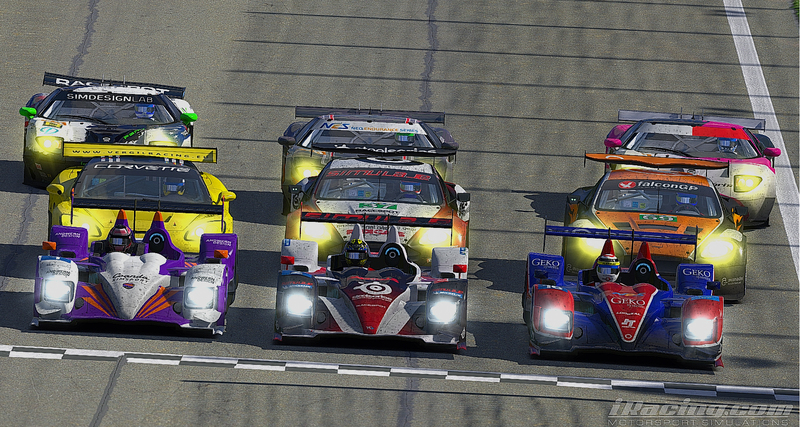 In fourth position it is Team Chimera followed by Hammer Down Racing, FRT Hawkers and Dart Frogs Racing. As mentioned, the championship is now lead by Radicals Online GT1, but only by 5 points to Thrustmaster Mivano Racing. Hammer Down Racing is further 17 points behind. In GT2 SimRC.de has really impressed since the end of last season. 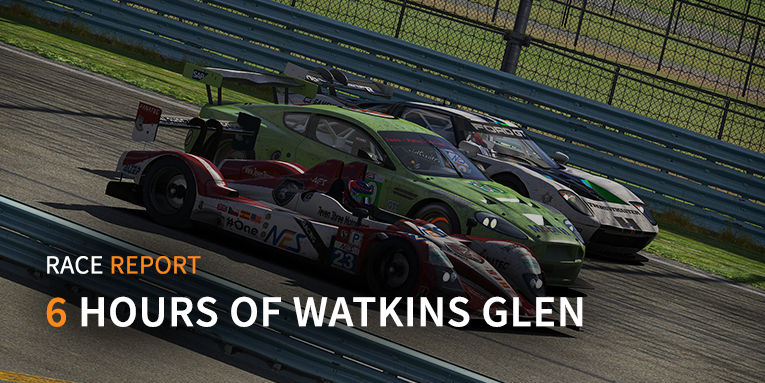 For this season their effort has been remarkable so far, and at the 6 Hours of Watkins Glen they ruled the GT2 field by finishing 2 laps in front of second placed Fenix Motorsports. This brings them comfortably in the lead of the championship with 133 points. Fenix Motorsports has finished really well except for the COTA race and are now 42 points behind. After 2 races-to-forget, 49 Motorsports came home in third position putting them in seventh position of the championship. In the race, Torrent Motorsports finished in fourth which means they are now third in the championship, as IRDK Assault Racing did not finish. The MSF Challenge, brought to you by the Motorsport Safety Foundation, was awarded to the cleanest team in each class in the Watkins Glen race. In the Prototype class the winners were Fenix Motorsports HPD. In GT1 class Team Chimera, car 54, won the $10 prize money that is connected with the MSF Challenge. In GT2 class 49 Motorsports won the MSF Challenge with the least amount of incident points in its class. For more information about Motorsport Safety Foundation and their mission, go to their website motorsport-safety.org. For full results of the race, go to the results page on the website. The standings are also up to date. The race is also available in our race archive. The next NEO Endurance Series event is on January 24th at Circuit de Spa-Francorchamps. 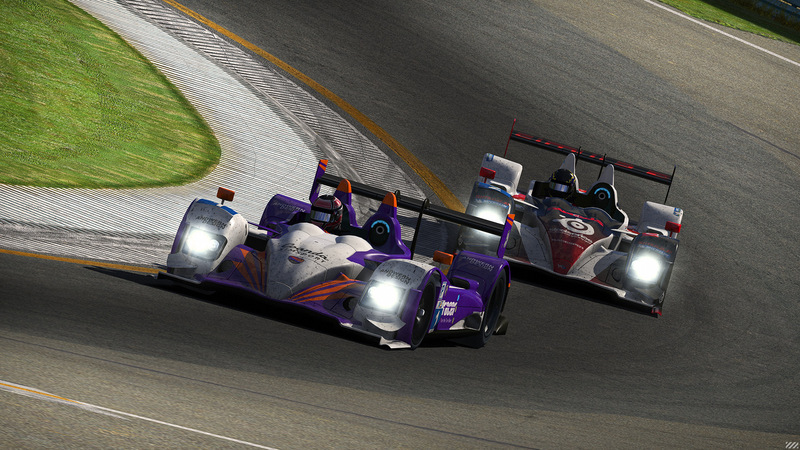 The 8 hour race starts at 13:00 GMT and is broadcasted live by RacespotTV on iRacing Live. To stay up to date, like us on Facebook, follow us on Twitter and check our website.